The following is a speech that I just gave at a local Relay For Life event where I was being recognized as their 2015 Honorary Cancer Survivor. I want to thank fellow survivors who helped me prepare this speech with their input and feelings that they felt should be expressed to current patients and survivors. I think we will all agree that 25 years of surviving cancer is a pretty big deal. But what you may find hard to believe, up until I hit this particular anniversary, I have never given myself credit for surviving cancer this long. It has been a long time coming to get to this realization, and it is because of our Naples Relay For Life Survivor Committee Chairwoman, Olyvia Eldridge, that I wrote this particular speech this evening. Olyvia, by showing this survivor what has been done for him, I realize that being a survivor is not just about being a visible statistic to other cancer patients and survivors. Being a survivor means supporting other patients and survivors. So tonight, I want to draw your attention to the hundreds of cancer survivors here this evening, and by survivors, that also includes patients either just diagnosed or going through treatment. Now with a show of hands, how many have survived cancer since at least 2005? Take a good look around you. No, take a long and lasting look. With the theme of this year’s Relay being “Wish Upon A Cure,” I have but one wish tonight. And even if you are not spending the entire night with us, you can make my wish tonight come true. The Relay For Life is about raising funds to not only find cures for cancers, but to find better and safer treatments and follow up care. And while your role in this process is so very important, as is the scientists who look for those cures, it is the long term survivors like those of us here this evening that I would like you all to just take a few moments, and not only tell them that one day you hope to be a survivor like them, but to thank them for the care and treatments that are available to you today. Our treatments just a couple of decades ago, were quite harsh. And as we have survived all these years later, medicine has realized something very important. That while every cancer patient just wants to be done with cancer with that final treatment, to survive cancer long term, you are not the only one who needs to take care of yourself, but doctors have recognized a need to follow patients for the rest of our lives, even for the slightest of late developing side effects, so that years after having beaten cancer, you no longer face the possibilities like myself and so many others have had to face. Because of those of who have survived cancer for so long, protocols have been written, and rewritten, and rewritten, and doctors have expanded their medical orientation from cure to now what is going to be the quality of life for a patient in 10, 25, 50 years and beyond. Because of us, doctors will now take better care of you, following your treatment for cancer. Screenings for certain issues occur annually or longer if possible, but issues are dealt with sooner than later. And as any cancer patient knows all too well, the sooner and quicker dealt with, the better. And because we are now followed up more closely, and yes, for the rest of our lives, we actually have an advantage over the average healthy person because issues are discovered before they become symptomatic. If you spend time with one of us this evening, getting to know what it has been like for us to live post-cancer, without the care that you will now be getting, and to understand just how important this new protocol is to you, and believe that you too, will someday be a long term cancer survivor like myself, and so many others. I began my life as a survivor 25 years ago. I began my support as a survivor and caregiver 25 years ago. I began my advocacy for cancer patients and survivors 7 years ago, when it became known to me, that long term survivors were having health issues that were not being followed up properly. And I became a patient advocate a little over a year ago, when a dear friend lost his life, for the lack of a simple protocol during cancer treatments with a drug known to have the potential for serious side effects. 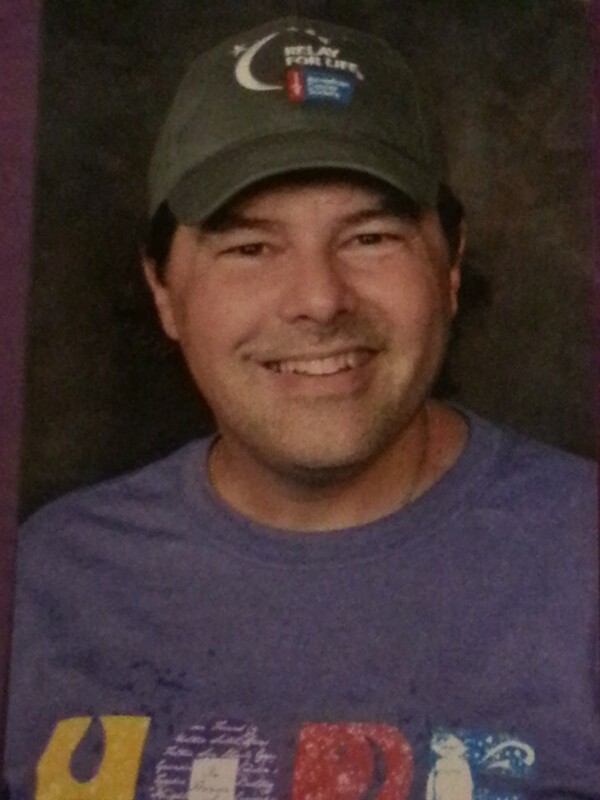 Tonight, my team, “Michael’s March”, in memory of Michael Scheidemann will walk this year’s Relay. Each hour, I personally, will walk and dedicate an hour to a cancer patient or survivor who has had an impact on my survivorship, and will write their name on the front of this t-shirt. And I invite each and every one of you, to follow me throughout the night, and write your name on the shirt as well.